I spent the morning of Saturday February 4th investigating the Pallett Creek Paleoseismology Site...just a short drive southeast of Palmdale, CA. Initially I wasn't sure if I should enter the site, given it's on private property. However, after extensive online research, I never found an account of the site where permission was needed to enter...so enter I did. 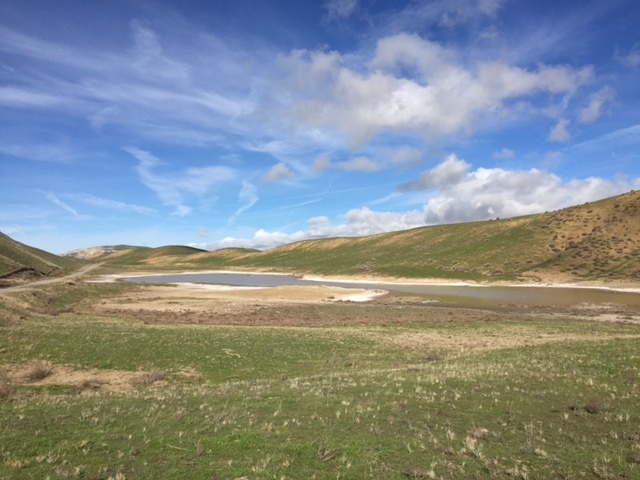 The site is located in an old sag pond formed by the collection of water and subsidence on the San Andreas Fault. 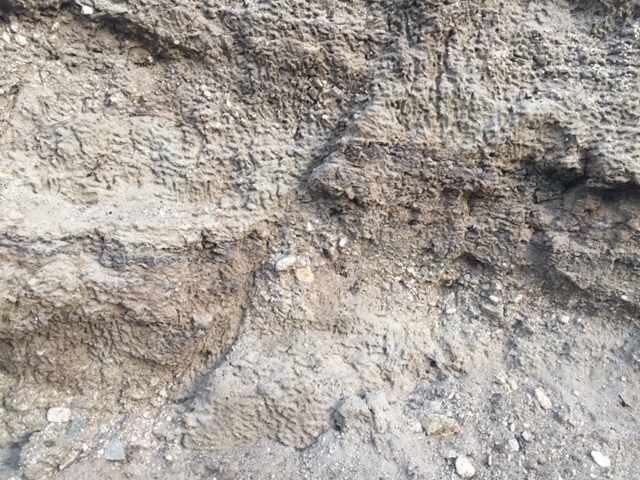 Pallett Creek is also slowly aiding in erosion across the fault zone. The study area is a bulldozed cross section across the fault where the land gives way to the creek below. 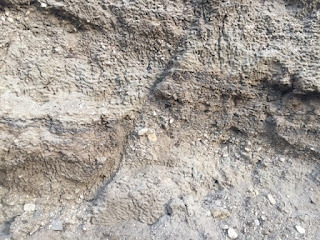 It took a few minutes to identify the nearly linear vertical micro strand of the fault, but once I did, the offset in horizontal layers of peat became apparent, which were vertically ruptured during historic earthquakes in the relatively recent past. 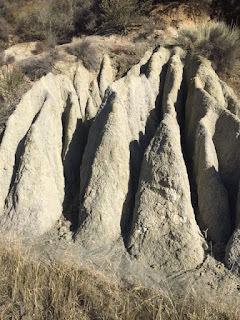 After the fascinating start to my day at Pallett Creek, I drove northwest from Palmdale, following the fault along Elizabeth Lake Road and Pine Canyon Road. 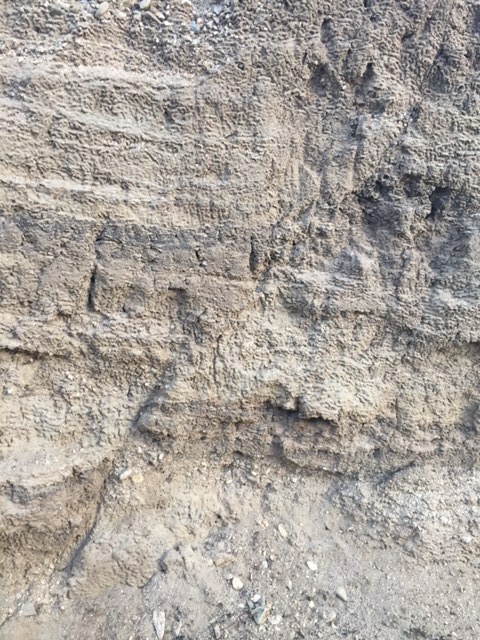 Excellent examples of fault gouge (rock that has been grinded up by the fault) were displayed along the side of the road. I eventually reached I-5, took a short jaunt north, and then east through Frazier Park. I eventually got on Cerro Noroeste Road, which climbed to a dramatic climax above the fault as it approached highways 166/33. 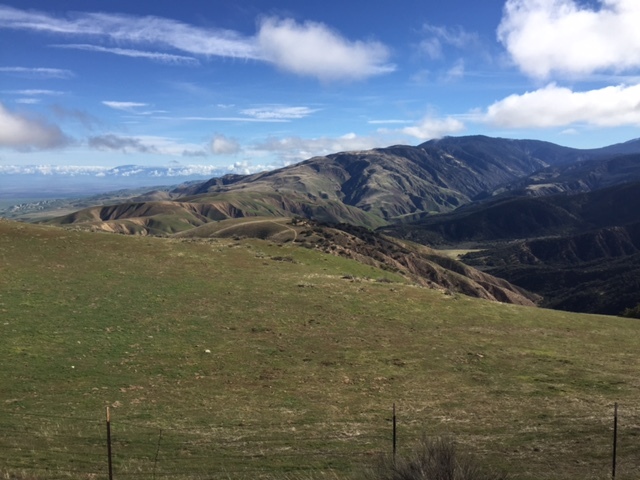 The view from this road is incredible...the land rapidly gives way to the Central Valley below, which is viewed across its entire width all the way to the crest of the Sierra Nevada Mountains. I then descended north into the Carrizo Plain, which was covered in healthy green grass due to recent winter rains. The location of the fault was easy to locate initially due to a series of elongated sag ponds. The road I was on eventually diverged west away from the fault as it became embedded within the pressure ridge residing at the base of the Temblor Range. 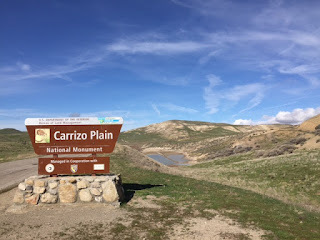 By this point, I was very hungry, and had no choice but to depart the fault and head for civilization...I ended up having a nice lunch in Santa Margarita. 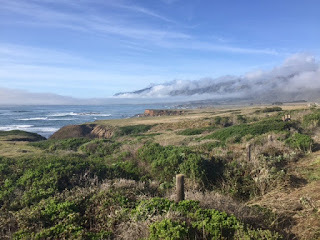 I then decided to head to the coast and follow highway 1 to Monterey. However, a mudslide occurred a few days earlier, which closed the highway down. My consolation prize was fantastic photography near San Simeon during the sunset hours...and also excellent views of elephant seals basking in the California sun. 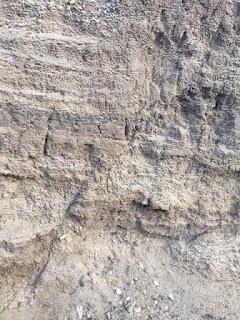 Pallett Creek Paleoseismology Site: A micro strand of the San Andreas Fault runs from bottom left to right of center. Note the vertical offset in dark horizontal layers. Larger view of the San Andreas Fault micro strand. Fault gouge northwest of Palmdale. View from Cerro Noroeste Road. 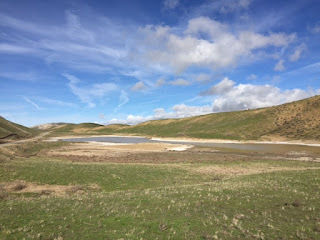 Sag pond on the San Andreas Fault near the entrance to the Carrizo Plain. 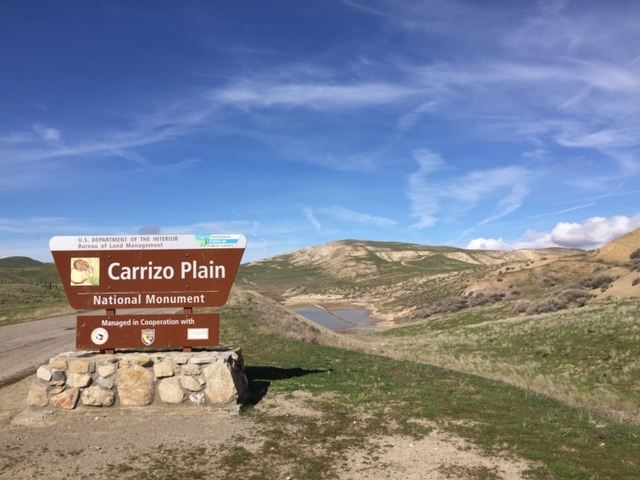 Entrance to the Carrizo Plain with a sag pond on the fault in the background. 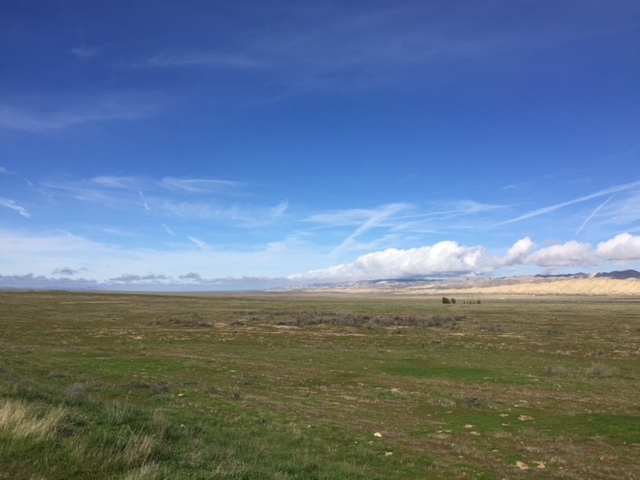 Green grasslands of the Carrizo Plain with the Temblor Range in the background. 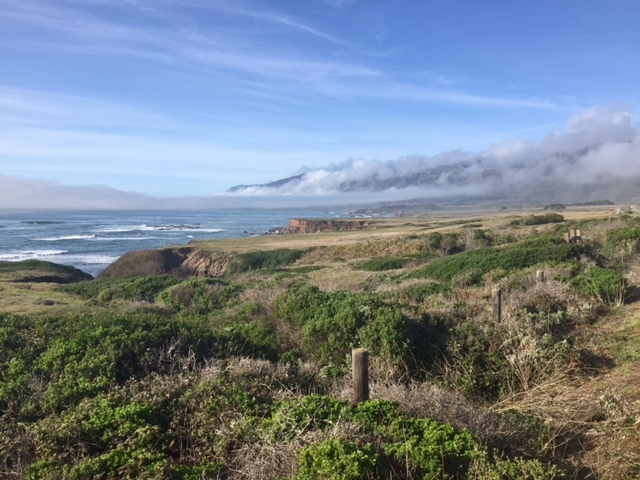 The Pacific Coast north of San Simeon.